With Elsloo as main base vikings plunder and pillage : Maastricht, Liege, Maines and some lesser Flemish towns. Vikings moved east and entered Aachen, where they burned down emperor castle and they used the Maria church as stable for their horses. Vikings did not stop they moved down to the Rhine area, where they extorted contributions from Cologne, Bonn and Koblenz. They marched through the Mosel valley and burned Trier down to the ground. Theses areas was previous free from viking raids and the terrified population is shocked and helpless against the viking raids. In the summer Charles the fat attacked with large west and southern German warriots,outside Elsloo the siege of Asselt began but the siege was not successful. 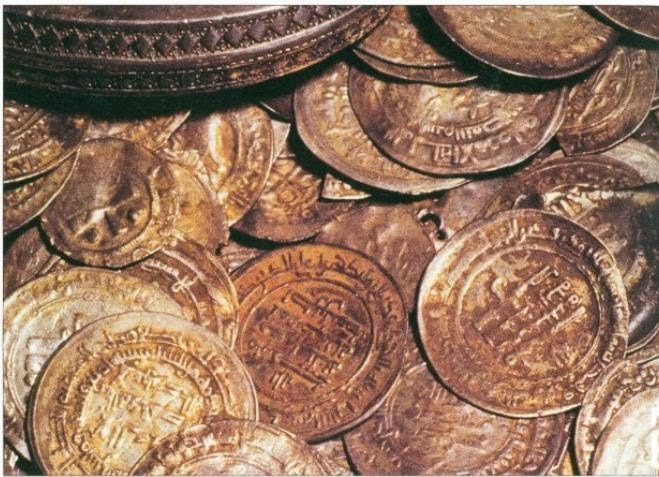 Charles the fat paid Sigfred and Godfrid the sea king 2500 Lbs gold and silver to remove the viking army. Charles the fat also had to let Roric`s old Frisian area be ruled by Gotfrid, which made the vikings in control of a legal base for further raids. Sigfred sent his vikings into West Francia and the area between the rivers Oise,Somme and Aisne is looted merciless, the army camped in Amiens. The invasion at the Laon region failed an attempt to take it but ransacked the area as well as the district of Villette Saint Vincent, destroying the churches and abbeys : Saint Jean du Bourg and Saint Hilaire Saint Vincent. In the east Oleg united Novgorod and Kiev.